Mozilla released the first beta version of Firefox 5 on Friday, roughly one month after making the browser available in the cutting-edge Aura channel keeping up with its new quick-release plan intended to bring features and improvements sooner. Among the key features in the latest release are the Firefox channel switcher, performance and stability enhancements and support for CSS Animations. The latter feature has yet to win formal approval from the W3C (World Wide Web Consortium) standards group but it is already supported by Google's Chrome and Apple's Safari, allowing web developers to add a little extra flair to actions such as making dialog boxes pop up or viewing photos. As for the new Firefox channel switcher, it specifically relates to Mozilla's rapid-release model, letting users flip between Firefox's three editions: Aurora, Beta and Release. As previously explained when announcing the new development cycle, the Aurora channel will get new features at regular intervals, but some of them might be disabled if they look like they need more work, then re-inserted into a later cycle after fixes have been applied. The Beta channel refers to a more stable test build of the browser for public consumption, and Release is the standard version of Firefox designed for all users to download. Firefox 5 also includes improved standards support for HTML5, XHR, MathML, SMIL, and canvas, and Mozilla listed 1,053 stability and other fixes in the detailed release notes accompanying the preview. If you'd like to take the new beta release for a spin it's available for download here. Aurora users who want to switch to something a bit more stable can click through help, about Firefox, hit the change link to display the channel changer and switch to either the beta or the latest release version (currently 4.0.1). 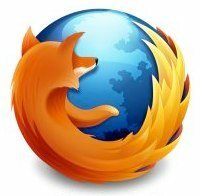 Firefox 5 should become available as a final release version sometime around June 21, according to release manager Christian Legnitto.